To finish off my challenge, I’ve got a few pretty exciting firsts still going on. One of them happened Monday: I took part in a panel discussion for the first time in my life (about the current refugee situation). It’s strange, having interpreted many things like that, suddenly I’m on the stage doing the talking. I loved it though! And I wasn’t nervous at all… The guy who’d organized it asked me afterwards if I’d done it before so I must have seemed pretty professional. 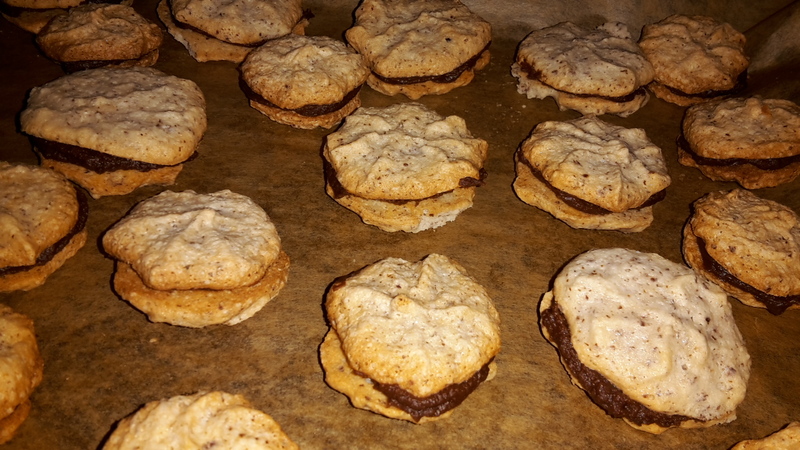 Yesterday I made a new type of cookies: duchesses with a nougat filling. My favourite type of sweet – why had I never thought of making them before? Next > Days 356-363 – Almost over!